Heels or flats? Heels! Even though I usually wear flats to work. How many pairs of shoes do you own? This one’s embarrassing – I estimate about 80. If you could be a shoe what would you be ? A perfect black pump. Every girl should own at least one pair. They’re versatile, a must have, and will never go out of style. Most expensive shoe in your closet/ shoes with a special meaning? Well, I already mentioned my wedding shoes but my first pair of Christian Louboutin pumps holds a very special meaning to me. They were my first big shoe splurge back when I got my first raise and I still love them! They’re the basic 100 black pumps and they’re seriously the most comfortable pumps I own. Favorite brand? Well, right now I’m having a serious love affair with Loeffler Randallshoes. Their summer collection is just too much! I also dream of owning a pair of Roger Vivier heels with the fancy, embellished buckle. Maybe for my next raise! Current shoe crushes? I’ve always loved wedges and I’m so happy to see they’ve made such a strong comeback in the past few seasons. Wedges are the perfect combination of style and comfort. Tory Burch makes the most comfortable wedges - (top right image) - I own and even though the heel is pretty high, the platform in the front makes it so that your feet don’t hurt after walking. Favorite shoe in your closet? I can have more than one, right? The sparkly Jimmy Choo heels I wore for my wedding are up there even though I can’t really wear them much. A close second are these Givenchy white and tan stilettos I got for an unbelievable sale price. And I just have to include a third favorite – a new pair of Loeffler Randall sandals that have this perfect, small Lucite heel. Those were a sample sale score! Why do you think women gravitate towards shoes? That’s a tough one! I think shoes are the best accessories (along with handbags). They can really bring any outfit to the next level. How do you store/display your shoes? 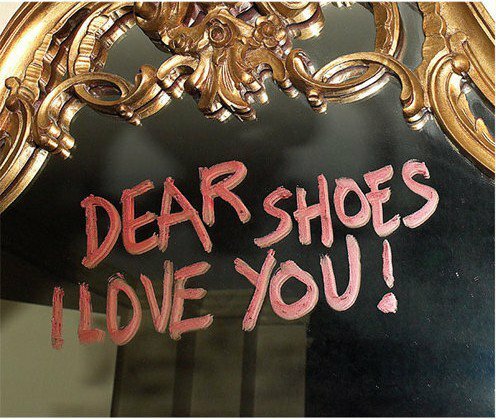 I keep all my designer and more expensive shoes in their original boxes and stack them all on a shelf inside my closet. Boots are all kept inside this enormous plastic, clear bin from the container store. The rest of my shoes are really everywhere. Closet space in NYC is scarce so I can’t wait to move to a more spacious apartment where I can really get my shoes organized and in order. Dream shoe wardrobe? I have a few dream shoe closets. 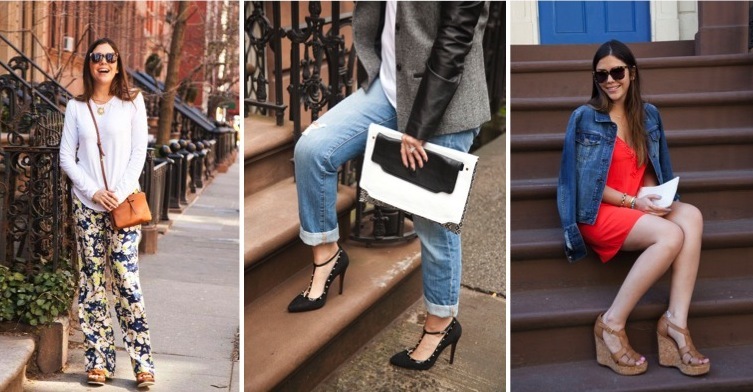 My friend and fellow blogger Liz of The Now Stylebook (see her 'Shoe Stories' here) has a pretty dreamy shoe collection. I also LOVE Aimee Song’s shoe repertoire. And I guess I should also include Gwyneth Paltrow’s. With her being Stella McCartney’s gal pal and all I’m guessing she probably has a few of her designs stored in her closet! I love these features–and wow, 80 shoes?! 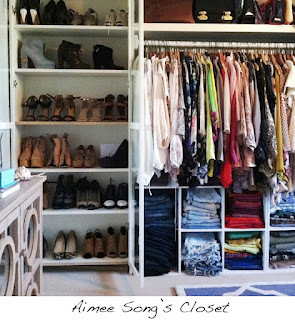 Clearly, I'd love to raid her closet! I love this series!! 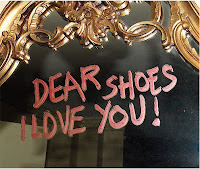 Viv's shoe collection is fab and now I want to read all the past shoe stories! Can I just steal all those shoes?? I love them all! This is so great post! Love it! Visit my blog, hope you like it and follow!